Whenever I buy cotton tunic fabrics, some colours get repeated. One such fabric is white or half white. Being cotton, it is cool to wear. 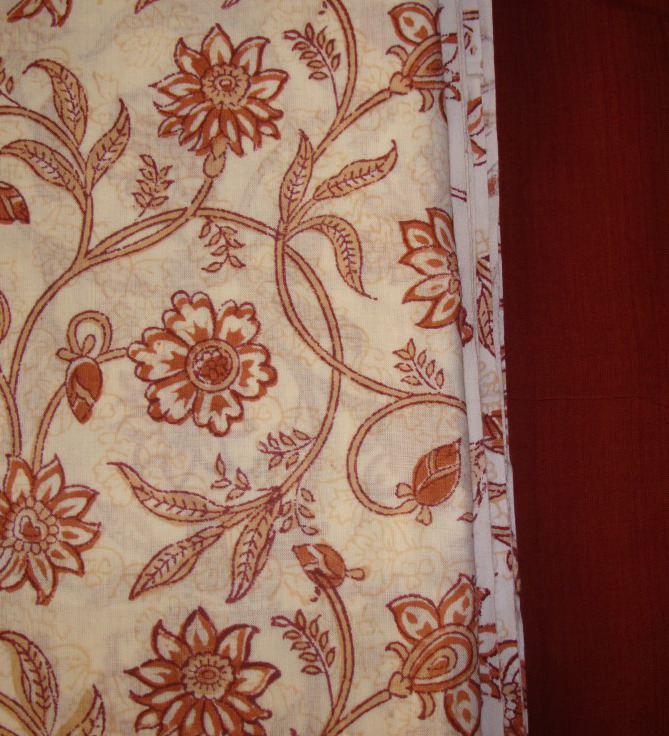 Any print or colour look great on white fabrics. I buy thinking of wearing them without any embroidery or embellishments, but this procedure also gets repeated. 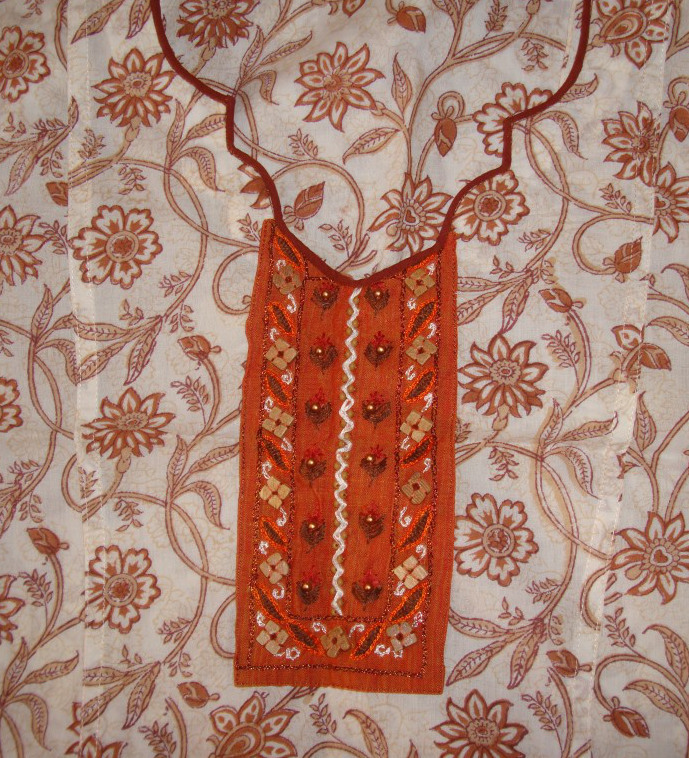 The fabrics are cotton, the tunic is printed with brown florals and the salwar fabric is plain brown. I have some wooden novelty beads which I wanted to use on this yoke. 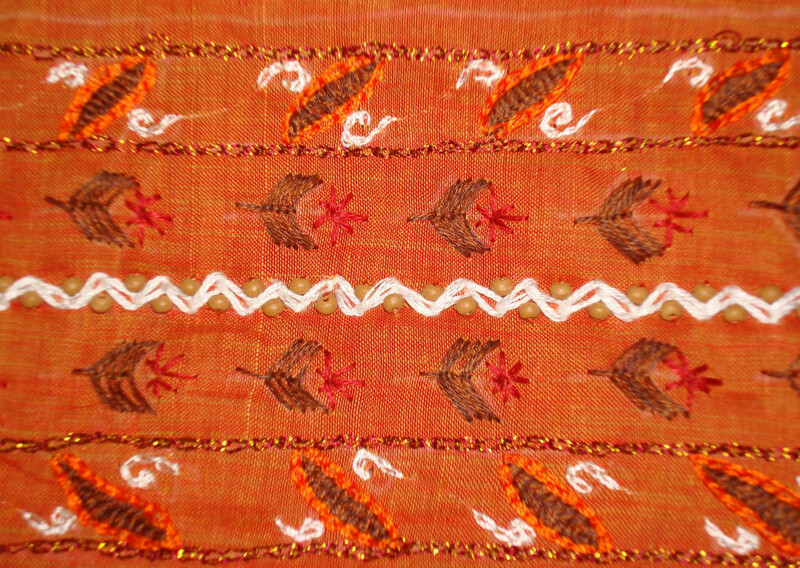 I chose an orange fabric to work this pattern. The embroidery stitches were-zigzag chain stitch, fly stitches, Algerian eye stitch, chain stitches, herringbone filling. 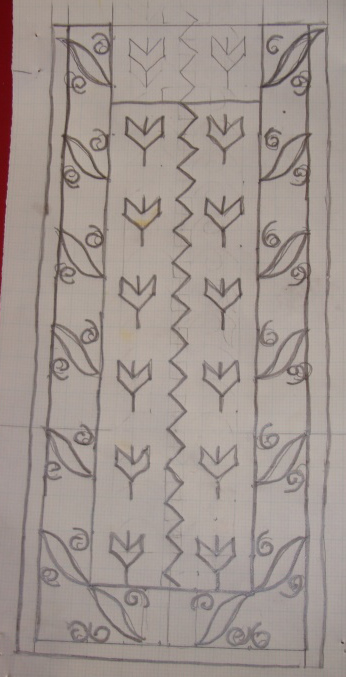 Threads were cotton skeins and metallic silk for the border outlines. The beads and novelty wooden beads are added to this yoke. A casual wear tunic, ideal for summer.